Whenever create a windows application on that case we always face some situation where we needed to display record in grid form. 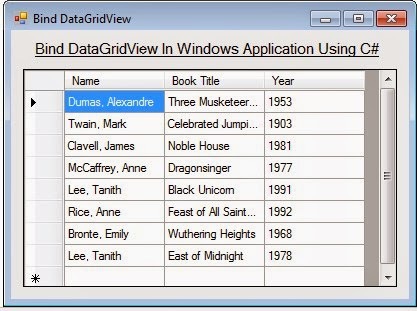 So in this application I will show you how you can bind a datagridview control in your windows application using C#. In this I will use ms access database to access the data. In my previous article I have shown your how you can bind a gridview control in asp.net application check the article Binding Gridview By Access DataBase Using C#.Net in Asp.Net. Some of my previous windows and C# .net application are as follows: How to Minimize an Application to the Taskbar Tray in C#.Net | System Tray Application C#, Email Validation in Windows Application C#.Net and VB.Net | Validating Email ID in TextBox in C# .Net, Displaying More than One Month in the Windows Forms MonthCalendar Control Using C#.Net. My listbx related articles are as follows: Remove Selected Item From Listbox C#.Net and VB.net, How to add/move multiselected items from one listbox to another listbox in C#.Net and VB.Net | C# multiple selection listbox move Using C#.Net, Transfer Listbox Items to Another Listbox Using C#.Net and VB.Net | How to Move List Box Items to another List Box in C#. 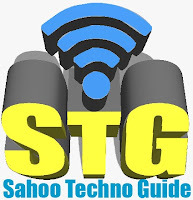 Now for this article first we will create a new windowsapplication and add a DataGridView Control in it. Public connectionstring As String = "Provider=Microsoft.ACE.OLEDB.12.0;Data Source=bookstore.mdb;Persist Security Info=False;"
Dim querystring As String = "select author_name,title,publication_year from Books;"
Now in above code first we have created a function whose return type is DataTale and on page load we have bind the datagridview control.